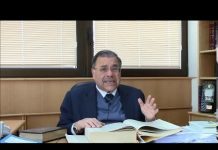 Rabbi Shlomo Riskin's insights into Parshat Mishpatim. A group calling itself the HolyLanders was behind this experiment, which revived our faith in humanity, at least for this morning. 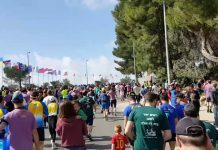 Jeremy Gimpel talks about the Biblical aspects of the Jerusalem Marathon. 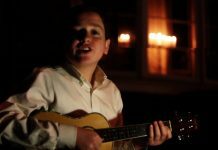 A musical tribute to Yerushalayim on Yom Yerushalayim. Produced by Izzy Broker. 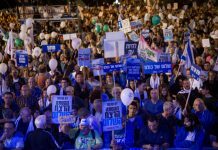 Right of All People to ‘Protest’ for a Better Future? U.S. Senator Bernie Sanders: "I think it's a difficult situation, but my assessment is that Israel overreacted on that." 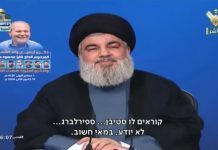 Another challenge the Hezbollah chief can't overcome. 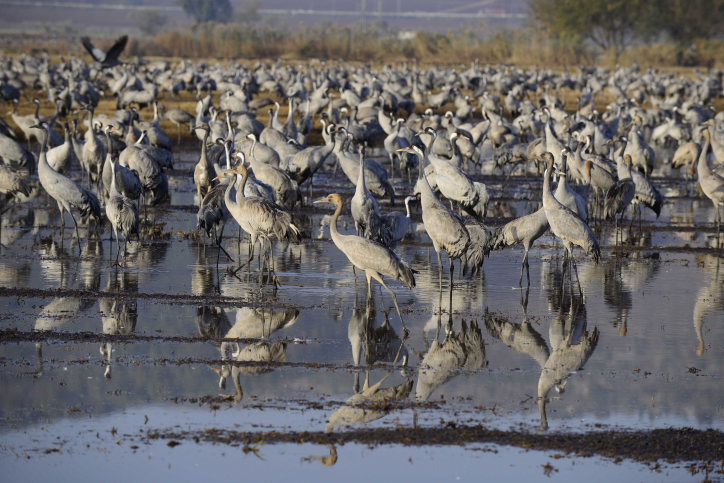 The Crane Project helps preserve farmland from suffering damage as a result of the cranes’ voracious appetites and heavy traffic in the fields. On the way to Jerusalem cemetery, the family stopped at the site on Route 60 where the terror attack took place. Organizers wanted to open the rally up to not just those on the left side of the political spectrum. Sara Zoabi received threats on her life and was ostracized by her family. 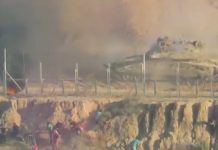 The tank fired smoke rounds at Gazans infiltrating through the fence they destroyed. 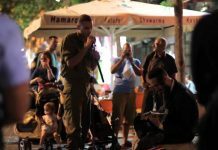 Reb Shlomo talks about our Land of Israel. A BDS goon went into a store in Michigan and tried to convince him to remove his pro-Israel sign from the window, or else.